I am a survivor of Gothard’s cult. I experienced unspeakable physical, sexual, and emotional abuse from my mother and father, who were at one point among Gothard’s “model parents.” Gothard is not human. Gothard does not deserve compassion. Gothard is not a man, and he does not have the slightest shred of decency or humanity within him. Bill Gothard is a monster in human form, and as far as I am concerned, he can’t die soon enough. I asked Dash questions about his childhood and more specifics about how he was disciplined. 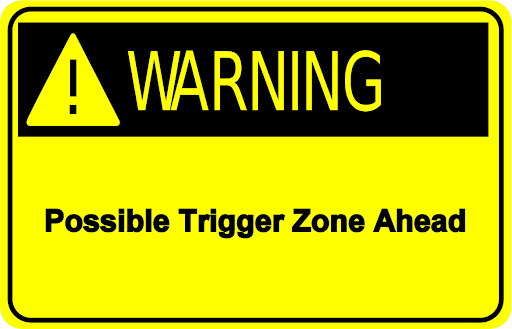 Again, I must issue a trigger warning to those who have experienced abuse. There may be some parents reading who used to follow Gothard’s teachings and have now left that behind. This, too, might be difficult for you to read. What kinds of things did you and your sister do that resulted in “spankings?” Can you give an example of what disobedience looked like, i.e, talking back, not doing what you were told to do, etc.? It’s hard to dredge up specific examples of behaviors that resulted in beatings (I’m going to use the term “beating” rather than “spanking,” because that’s what they were), because frankly my recollection of the events leading up to the beatings are hazy. However, punishable offenses included: Not getting a chore done on time, or to the required degree of perfection (chores included dusting, vacuuming, taking out the trash). Arguing or fighting with my siblings (to clarify, I have an older sister and younger brother), and I mean trivial things like arguing over which record we were going to listen to or who got to play with which stuffed animal. Arriving home late from a friend’s house, arriving home late after school, not getting out of bed promptly in the morning, complaining about going to church. The list is endless. As our family began to seriously decay and slide toward doom, punishments extended to include: making a salad incorrectly, accidentally dropping a dish or a milk bottle, getting the bathroom floor wet during a bath, not setting the table for dinner quickly enough, forgetting to put clothes in the laundry basket, putting a book back on the bookshelf in the wrong place. In other words, any trivial perceived imperfection became grounds for beatings. One of the worst beatings of my life was administered by my mother around nine years old when we were making chocolate chip cookies. I was given the task of running the hand-held mixer, which I was happy to do because then I might get one of the detachable beaters with cookie batter on it after. I was standing on a stool, and I turned to ask my mother a question. Being an absent-minded kid, when I turned I unconsciously lifted the mixer out of the batter and cookie dough flew all over the wall. My mom went livid and slapped me full in the face, knocking me sprawling off the stool. She then dragged me bawling upstairs and beat me with the 3/4″ dowel rod for almost 30 minutes. What made them stop the beatings after an hour or however long? Was there something you or your sister did that helped them to stop? Were your parents looking for signs of remorse? Did they finally give up? To this day, I cannot show normal emotional responses to my environment as a result of this aversive conditioning; I reflexively suppress every emotional response. I cannot maintain a long-term relationship with a woman because of this emotional dysfunction, which is why I am still single at 44. I have had therapists hint that I might be a sociopath because of the superficial appearance of this emotional dysfunction, which I know not to be the case. I have emotions, I just cannot show or express them properly. It makes me want to kill myself. Did your parents talk to you while you were getting “spanked?” How was their tone of voice? Were they yelling or did they use a normal tone of voice? Did they use scripture while “spanking?” Did they pray with you after? They would yell and scream and bellow. They would tell us what bad, awful, evil, horrible, sinful children we were. In the beginning, there was no pretext of spiritual context; later on as I got older and the beatings continued, my father began making attempts to pray with us after a beating, as if it was a spiritual exercise. For the most part, however, the beatings took place in an atmosphere of apoplectic, psychotic rage, especially when my mother was administering them. I use the term “psychotic” because my mother has been diagnosed as bipolar, and her fits of apoplexy were probably manic fugues. It was terrifying. To this day I have nightmares about it. Did they realize you were bruised? Did they ever acknowledge they went overboard or apologize? The bruising and other injuries (which at one point for me included a broken finger, and for my brother once included a broken forearm) were never acknowledged by my parents. It was implied that we deserved it. “That’s what you get for your sinful disobedience” was the message. My parents have never really acknowledged the specific details of what they did. Both of them have acknowledged that hitting us was wrong, but we can’t discuss details properly because they are so horrified and humiliated by the recollection of what they did to us. My mother has sobbing fits when I try to bring any of this up. Both my parents have tried to make amends through financial reparations: paying for therapists, occasionally helping with rent or medical bills. But I’m still broken, so everyday life is a constant struggle. I wake up every morning and look in the mirror, and I have to find a reason not to kill myself. I have a cat that I adopted 13 years ago who snuggles with me and is my little buddy. Having a cat is the only thing that keeps me going; I have to take care of my cat, so I can’t kill myself. I have to focus on something other than myself in order to go on living. It’s pretty bleak. I’d like to state again for the record that Gothard apologists are remorseless sadists, and this includes that Alfred character who comments on your blog. These people KNOW THAT THESE THINGS ARE HAPPENING IN THE IBLP/ATI PROGRAM, AND THEY ARE FINE WITH IT. They are sociopaths. And Gothard is a monster, because he knows about these events and he ENCOURAGES THEM. Next postDid Former Vision Forum President Doug Phillips Play Hide-and-Seek with Process Server? Dash- my heart is breaking, I will respond more when I can. I know you don’t know me, but with every fiber in my being, I am so thankful that you are still here. Thank-you for exposing the vile, evil wickedness of Gothard. It just hurts to read this, Dash. I am so, so sorry that you endured this as a child. And I’m sorry for how it affects you to this day. Wouldn’t it be nice if Gothard had to receive a swat for every one administered to a child on his advice? The part about your cat got to me. I am, unashamedly, a cat lady. We’ve even tamed the “feral” cats that live under the house. One of them spends most of his time curled up somewhere inside the house. 🙂 He’s the most affectionate little creature. I know how therapeutic they can be. Dash, it is horrifying to read this. Was trying to watch Jessa Duggar’s wedding, and I had to shut it off. I know every word coming out of their mouths came from Bill Gothard’s teachings, and it was making me sick to listen to them. Thank you for having the courage to tell your story. Please keep telling it. I am so sorry for the horrific beatings you endured (physical, psychological, emotional and spiritual abuse). Those are felony crimes. Parents can now be arrested, prosecuted, and serve time in state prison. Many people have found help and support in free 12-step programs like Al-Anon, Debtors Anonymous (they deal with debt and under earning issues, many which stem back to, what else, abusive childhood issues). There’s also cognitive therapy. The National Alliance of the Mentally Ill. Not that you’re looking. Just good to keep in mind. I’m glad that you have a sweet cat! I have survived terrible things too…and love Black Gospel (even though I’m white). Here’s a favorite I’m sending your way “Trouble Don’t Last” sung by Lillian Lily and The Mississippi Mass Choir. Dash – My heart hurts for you. Thank you, again, for sharing your story and for being here. Your presence is appreciated and valued. I consider you to be a very courageous part of SSB. I, too, thank you for telling us the truth of what your childhood was like. Only a monster could weld power to teach parents how to destroy their children. To do it in the name of Almighty God is beyond comprehension. In the midst of a nervous breakdown, when I felt hopeless, a therapist asked me if he could share his hope with me until I found some of my own. I accepted. Please accept hope from your family here. Only a monster could weld power to teach parents how to destroy their children. To do it in the name of Almighty God is beyond comprehension. Your story just makes me shudder. It is absolutely horrific. Have you thought about turning your story into a book? I am absolutely convinced some of the best therapy is writing about a situation. The world needs to know what happened to you. I suspect you could end up helping more people than you would even think you would help. One of the ways I recovered from what happened to me as a child was to reach out and try to help others who had endured the same thing. It was like taking something bad and doing something good with it. There are people who are hurting, feeling the same thing, having endured the same thing, who need you to tell them you understand, that you have been there and know how they feel. When I started doing this, I was no longer suicidal and no longer the victim. The abuse will control your life until you learn turn it inside out and into something that will make another person’s life better, because you have such empathy for them. Bless you. Thank you everyone for your comments. I would like all of them if I could, but since I’m using an anonymous comment alias I’m not logged into the system. Thank you all so much. It is early morning as I type this, and, as I consider the matters you have related, I cannot sleep. On behalf of a generation of Christians of which I am a member, I would like to extend an apology. Let me try to explain. Judging by your age, your parents and I came of age when the World War II generation was sending its sons to slaughter in Vietnam, and doing things like massacring its daughters and sons alike at a place called Kent State. In our own homes we were rejected by our parents because of such things as the length of our hair, the music we listened to and the style of our clothes. Yet, as Christians our generation tended, outrageously I now believe, to support the depredations of what was then called the establishment. While I personally was not particularly well informed (I was at the tail end of the Vietnam generation), we Baby Boom Christians tended to be supportive of Lyndon Johnson’s war and Richard Nixon’s excesses. Our unquestioning acceptance of corrupt authority made us easy prey for the likes of a Bill Gothard, who came along preaching a false gospel, a gospel which was to be enforced by raining down terror on our own Children. I was never a disciple of Gothard, but looking back I can see that I unquestioningly accepted all too many of Gothard’s precepts as spoken from the mouths of other men. I am not without guilt in these matters. So, a generation of Christians to which your parents and I belong–a generation that ought to have known better by reason of its own rejection, even to the point of murderous slaughter–proceeded in many cases to destroy its own children emotionally and spiritually. Except that we didn’t even have the excuse of national security. We did it all in the name of Jesus. How blasphemous! May these be the days, which must surely come, when “the hearts of fathers [are turned] to their children and the hearts of children to their fathers.” Malachi 4:6, ESV. My cats have known how to sleep. But I remember that instruction, that they made it sound so winsome, so logical, so reasonable, that you were to spank a child until they stopped resisting and accepted your authority. I am sickened and shamed, and grieve for the children whose parents are still living that delusion. I thought, at first, when you said, “Bill Gothard is a monster” that it was emotion talking, and pain. But reading this, I find myself in agreement. He may have done all this out of the pain of his own past, he may have some sort of mental illness, but he is still responsible for all the misery he has inflicted over the years, both personally and through his teachings. I wish you love, healing, grace, and peace. FWIW, I spent so many years in what some have named “A dark night of the soul” with little desire to live, I hear you. And Dash, I’m glad you are here. Live, and live well, and let that be your revenge. Don’t let the bastards win. Dear Dash, you have every right to be outraged. I have wondered why it is so important to these people for parents to terrorize and make children’s childhoods unbearably miserable. I agree with everything you say about Gothard and his followers. I have read their heartless self-serving comments, these people do not give a tiny damn about the misery their savior Gothard has heaped on terrified children. I do not believe you are a sociopath Dash, I am very sorry any one would hint that. You may want to try to talk with Dr. Marlene Winell,http://journeyfree.org/ she works with survivors of religious abuse. I think she is informed enough not to hint to someone who grow up this way that they could be a sociopath, and if she did I would not like her any more. Dash, you are an inspiration to me. In all your pain you are giving many of us who suffer good instruction. Your anger in all it’s honesty shows many of us that we are not alone. Many victims of abuse internalize it, think they are crazy and are filled with shame. You have the ability to identify the heinous nature of your abuse and recognize you aren’t the bad, crazy one, but Gothard and that the actions of your parents were f***ed up. Your anger, appropriately directed and expressed will keep you safe. I am also working on this. You also are opening up to love. How? Well of course your love for your cat is a great place to start. A person with no capacity to love could not enjoy cuddling with their cat! A second way is you are opening up to us. It is very brave to risk potential rejection by sharing your pain. This is another step towards intimacy. I for one am encouraged by your journey. It gives me permission to continue to set boundaries with family and see the reality-they don’t get it and refuse to accept the responsibility of their careless actions. I am letting myself grieve over this. I am hooking my wagon to yours-we both have value and should feel no shame that in protecting ourselves. Yes, Bill needs to have his bottom whipped more then every child on the globe. These people have a pornographic sexually sadistic fetish with submission, authority, discipline, and obedience, just like men who keep slaves. “Many people have found help and support in free 12-step programs like Al-Anon, Debtors Anonymous (they deal with debt and under earning issues, many which stem back to, what else, abusive childhood issues). There’s also cognitive therapy. No, no, no. Whatever you do, don’t go to Al-Anon! My dad was/is a drunk. (I won’t dress it up nicely and call him “alcoholic”–I’m done with that sin as “disease” garbage.) He beat my mom, abused me. After he left us with nothing, we went to Al-Anon. They said we had a disease called “codependency”. This teaching is the entire basis of doing the 12 steps for the real victims of alcohol abuse. No matter what, you have this disease, and it’s your fault that your loved one drinks. I’m sure some people really are codependent, but not all of them. They broad brush, and make you feel like it’s all your fault that you suffered at the hands of a sociopathic drunk. And there’s no cure for codependency, so you’d better keep attending meetings and going through the 12 steps for the rest of your life. So unless you want to be blamed for your parents’ beating you, do yourself a favor and don’t go to Al-Anon. Because it’s NOT your fault that that happened to you. There’s nothing you could have done to fix it. What they did to you isn’t your responsibility. I’m so sorry this happened to you. I’ll be praying for you, for what it’s worth. I know it must be hard to even so much as open a Bible. There are some verses I myself have trouble reading because I hear them in my dad’s cruel, arrogant voice, being twisted to suit his needs. Dash, that is truly horrible. The whole thing is sick and psychotic. One of the best ways to destroy a person’s sense of their own humanity, I think, is to forcibly separate them from their feelings, especially their feelings of outrage at being mistreated. This teaching of Gothard’s is extremely abusive and wicked. I had a very different experience at Al-anon. I learned I wasn’t responsible for other people’s choices. I learned I had a right to my own choices, likes and dislikes. I learned it was OK to have feelings, and most importantly I learned that I didn’t have to be perfect and be afraid of making mistakes. I learned to stand up for myself. I learned to take chances. I learned to rely on The inner voice that is God.i learned to respect myself and respect others in a proper manner. For the first time in my life I really learned to believe that God loved me just the way I am, warts and all. Through all this I was healed of OCD which I had suffered from most of my life. For me has been a life saver. I have often talked about heinous events that took place during my childhood, but none compares to what you have endured. I wish you LOVE. Real love. No beatings. No rules. Pure no-matter-what love. I am saddened to call myself a Christian when people like Gothard and his followers call themselves by that name. Somewhere there is another child who is being beaten. We all need to be speaking up and speaking out. I am touched by the responses of everyone to Dash. What a beautiful tribe. You guys are my church. Ann, I loved your comment. Thank you! Thank you all for your beautiful responses. I am so sorry to hear that you had a terrible experience in Al-Anon and that you and your Mom weren’t supported in dealing with your abusive, drunken father. It sounds like the people who ‘advised’ you weren’t very healthy themselves and were just repeating a bunch of stuff without thinking. There are safe and unsafe churches, 12-step programs, and the like, as we all know. I am glad you left an unhealthy 12-step program. As Leslie pointed out, not all people have had that unhealthy, crazy-making experience with Al-Anon and that there are healthy meetings and supportive people. I frequently recommend Debtors Anonymous to people because of the number of people who have debting/underearning/self-care issues that stem from being raised in an abusive background and that folks have to learn how to properly care for themselves. As one writer said, “Alcoholics Anonymous saved my life; Debtors Anonymous gave me a life.” That’s why I still refer people to these programs and tell them to try different meetings. Here is a link I wanted to share with folks about a free 12-step program called Debtors Anonymous. I am doing that because many people (not all of course) who come from abusive childhoods may have problems with debting, underearning, and self-care issues. Debtors Anonymous isn’t just about the money, it’s about the whole person and for people to learn how to value and care for themselves properly. Even the basics like putting lotion on their skin, buying new underwear, taking vacations, having nice bedding, and lots of things that seem so basic that people skip in deprivation mode and have to learn how to do. There are in-person meetings in most major cities; there are also phone-in meetings seven days a week. Regarding 12 step programs, one thing to keep in mind is “your mileage may vary.” It’s not a professional kind of thing where someone has really learned the ropes to moderate it well and keep things on track, but more on a par with a small group study at church where the people involved are either going to be right on….or not. Praying for you, Dash. Don’t have a whole lot else to say, but praying for you. I’m praying for you as well, Dash. I’ve had people e-mail me about their 12-step experience and would agree with Bike Bubba. While some can be helpful, others not so much. As always, be careful. Be careful, and understand what it is. One of the key steps in any 12 step program is to take responsibility for your own sin. OK, what sin did Pixie commit to warrant being abused by a drunk? So that is what was going on with Al-Anon. Yes, Mom apparently stood by her man, but what choice did Pixie have? She wasn’t codependent, she was dependent at the time if I’m reading this right. And it’s worth noting that getting out of codependency usually means leaving the life you knew. Even apart from moral qualms about divorce, that’s a big deal. If you ask me about AA for people who party their way into alcoholism, I’m all for it. It fits. I’m not so sure about Al-Anon. You’d have to be artful about it for sure. BikeBubba, the worst part is that my Mom is anything BUT codependent. She really stood up to her abuser as much as she could during their marriage. Even redirected his anger from off of me to her so I wouldn’t get hurt, she loved me so much. But, she was disabled with multiple sclerosis. She had no family that would/could take me and her in, nobody at church cared, pastors sent her home to submit to abuse, women’s shelters in our area are overflowing, etc. SSDI said she didn’t have enough work credits to qualify. You get the picture. Even after my dad left the local state programs kept subtracting MY piddly minimum wage income from her paycheck. We nearly went homeless. So having Al-Anon come along with a club when you’re trying to heal….Ugh. But I’m glad other people have had good experiences. Maybe our group was just that awful. It gives me hope that at least some people are getting help out there by these groups. Still, Al-Anon shouldn’t necessarily have you doing 12-steps when you might not even have anything to apologize for. The official Al-Anon materials we received from them made everything out like a disease, including drunkenness, so beware of getting too deep into those. Yes, drunkenness is an addicting sin that reprograms your brain, but I can’t stomach calling sin a disease. This all comes from psychology, which has its ups and downs as a field–in this case, a huge down. My Mom’s multiple sclerosis is a disease she couldn’t help. To compare drunkenness, which can be avoided before it becomes an addiction, to a real disease like MS is an insult. Yet this concept is the entire basis for the core teachings of AA/Al-Anon. My father was all but coddled in AA, as well as by multiple psychiatrists. I had a psychiatrist, after asking her to please help me learn how to forgive and not be so angry all the time, tell me to my face that my dad had a disease, boo-hoo, feel bad for him. So, abuser gets pity party, victim gets to feel guilty for being the reason abuser wants to drink. Meanwhile, in AA, my dad was surrounded by attendees who just wanted to get off easy in court for their DUIs and abuse towards significant others–just like my dad. They pretty much turned their meetings into complaining sessions where they could blame their wives/girlfriends/moms/dads/everyone-but-themselves. Shucks, my dad even met someone he could cheat on my mom with. My dad’s sponsor was quite an exception, however. He was pretty cool and took responsibility for his actions. But my dad’s sponsor could only do so much to help him when he didn’t want to truly take responsibility. + Better moderation in meetings, so that meetings aren’t turned to blame-shifting sessions. In other words, don’t let AAers get away with saying, “My wife did X, that’s why I drink.” That’s a cop-out. + Judges need to stop giving leniency to DUIers and abusers who attend AA. Such AA attendees who have to be there for their get-out-of-jail-free-card, like my dad, tend to take over the group from those who sincerely do want to break their addiction, and quite possibly are holding these people back from actually succeeding by how they hijack the meetings. + Start treating sin as disobedience to God rather than a disease. This gives the perpetrators an excuse to hide behind, and completely undoes any good in the 12-steps. Take the step for making amends, for example. What is there to make amends for if everything is a disease? Duh. See how these teaching sears the conscience? + Don’t automatically classify Al-Anon attendees as codependent. Al-Anoners need to feel safe. Odds are, their drunk already blamed them for everything plenty. They don’t need anymore blame. They need to learn it’s not their fault, as another poster said above me. Sadly, I didn’t learn that at Al-Anon like I should have. In my experience, the actual codependent ones, ironically, tend to be the ones who escape getting blamed the most, because the drunk likes that they bend over backwards for them–as it is with my dad’s side of the family, who has gone so far as to post bail for him after the very last time he beat my mom many years ago. After the bad experiences I’ve had both with Al-Anon and several psychiatrists (and yeah, pastors too, some of whom had psychiatry degrees) who were advising my family while the marriage was still together, I’d only recommend seeing a psychiatrist who specializes in domestic violence for any marital counseling, even if someone thinks they’re not being abused. If nothing else, it probably would have helped my mom not feel constantly blamed for everything. The shrinks just weren’t trained to spot an abuser and understand what was really happening. My dad was just too good at poisoning the well. I’m honestly not sure if someone who specializes in DV would be able to spot an abuser, but I should hope so. Anyway, I’m glad to hear so many have had positive experiences. Sadly, I don’t know where to go to get such an experience, except for sites like these. I’m very grateful to JA and those at Cry for Justice for providing safe places where others understand and aren’t out to club the victims over the head. I’m sure Dash feels the same. Thank you all from the bottom of my heart. Pixie/Clockwork Angel (I assume you’re the same person), thanks for drawing that picture. I promise that as I have the opportunity to interact with those who have suffered like you, I’ll remember your story. My apologies for my comment assuming your mother stayed with your father, by the way. I didn’t mean to be rude, but it appears I was. I’m sorry, I think I commented here long ago under an different name but I don’t remember it now, if you track ISPs, Julie Anne. I lurk here a lot but after a few days of waffling back and forth, I felt I had to respond to Dash’s post. I too was one of the early victims of Gothard. My parents attended their first Basic in the early 80s, along with most of our small IFB church. My parents, both having been married before, were not allowed into ATI, but that only spurred them to try even harder to prove their worthiness. I was homeschooled under other curricula starting in fifth grade all the way through high school. I endured the same kinds of physical punishments as you did, Dash, and I have suffered the same kinds of emotional damage. I am married with two wonderful children, I have a graduate degree and an amazing career, but I still feel as though I am only passing for human. I cannot express any true emotion, I cannot form deep, authentic interpersonal relationships, and I struggle with feeling connected with others. I now consider myself an agnostic headed toward atheist. I have been in and out of therapy for twenty years, and have realized in the last few years that I will never be “okay.” My parents’ decision to follow Gothard–which I believe was really a validation and reinforcement of their pre-existing beliefs–has permanently and irrevocably damaged me. I’m not bitter or angry any more, just trying to figure out how to survive the rest of my life without hurting anyone else in the same way. I just wanted you to know, Dash, that there are others out there who have lived through what you did. You aren’t alone. It wasn’t okay, and it’s amazing that we are still here and still fighting to get through every day. Please give your kitty a snuggle for me–I have two kitties of my own and some days they are the only things that keep me going. Stay strong. Your ip address is not showing any matches, graykitty. That’s alright. I’m glad you commented. Thinking of how one selfish man can do so much damage to soooooooo many people makes me want to curl into a ball and weep. I’m so, so sorry, graykitty. I was baking for friends, listening to Southern Rock on youtube (I’ve listened to lots of music that I used to love prior to being part of legalistic church that I was excommunicated and shunned from)…when the Texas music ended and this smokin’ hot blues band from Latvia (!!) came on, Latvian Blues Band. (Latvia is near Sweden and was part of the USSR before it broke up). The LBB has competed in the Memphis International Blues Challenge, Euro Blues Challenge, and here’s there beautiful song, “Learning to Live”. ^ correction: “their” (I am doing too many things at the same time!) LOL. I join Julie Anne in weeping about what happened to you and Dash (and others) who were victimized by Gothard’s abusive, inhumane practices. And how The Father must weep too. graykitty, Dash and all abuse victims including myself. The people who practiced these abusive ways were never followers of Jesus. Abba Father loves His children so much that he laid down his life for them and does what is best for them in a loving and Holy way. Those that are claiming His name and passing off sadistic forms of abuse as Christianity will have torment as their reward for eternity, We will be tormented for a little while in comparison. As I woke up this morning and remember the stone is moved from the grave and we have a risen Savior who over came death and knows what it is like to be human, hated, beaten beyond recognition, I know that he did it all for me. We are not promised a perfect life in this fallen world. We are not promised loving, godly parents who don’t find a way to justify harshness and cruelty that many choose to lash out. Abba Father/ Jesus saw what we endured. He has gathered all our tears and asks us to come to Him to find rest, comfort and true love. I pray that you realize what love you have inside of you; it may be deep but begging to come out. You have overcome so much just by telling your stories. I feel your heartbreak and know how hard it is to trust and freely love people again or even know how to love another not having seen it in your family. I pray that you will show those that caused this pain that they have not brought you so far down that you cannot get back up. You have much to give. I say this as I also have a cat beside me. I love and care for her just as you do with yours. ((((((HUGS)))))) and tears for all you have been through.